Safety is an essential consideration when it comes to driving a vehicle. When it is pouring down with rain, clearing the water efficiently from the windshield is vital to be able to see the road ahead and any upcoming obstacles. 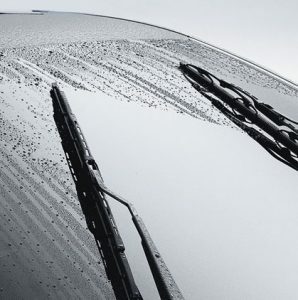 Choosing a set of the best windshield wipers ensures that every journey will be safer. Standard – Made from rubber in a thin strip, with metal arms and a large frame supporting it. Beam – One piece of sturdy rubber connected to a minimalistic, robust frame. Standard blades are the most popular ones fitted to a vehicle. 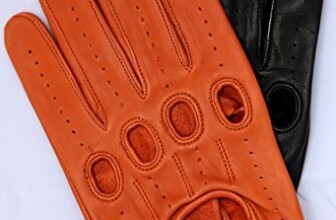 Sizes run the gamut from 10-inches to 28-inches. Indeed, the blade on the driver’s side and the passenger’s side often are different lengths. Latex rubber is the most common blade material used with this type. Spoiler blades virtually hug the windshield and prove proficient at clearing water quickly. Flat blades lack the metal frame one often sees. These are quieter during use and have improved aerodynamic properties. Contour blades suit vehicles with a curved windshield. The arched shape improves the fit and efficiency. These blades are usually shorter than standard ones. Winter blades are designed for vehicles used in places that receive regular snowfall. 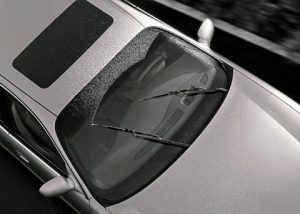 The rubber compound used is tearing resistant and will outlast standard wiper blades. 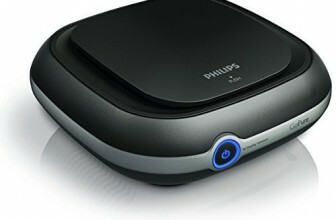 Heated blades include a heating component inside the squeegee. The heat performs wonders to break down the ice and improve visibility in cold conditions. Silicone rubber wiper blades deal with heat, sunlight and below zero temperatures equally well. Made to be flexible when compared to winter blades too. See our windshield wiper reviews below for in-depth information about the best wipers on the market. These is considered by us the best Windshield Wiper on the market! The Bosch ICON Wiper Blade (2 Pack) is our overall winner in the Best Windshield Wipers category. Instead of using a traditional wiper design, Bosch has gone with a patented beam design that has won awards for its ingenuity. This wiper uses no hinges or brackets, yet manages to distribute appropriate pressure evenly across the full length of the blade due to its asymmetric spoiler implementation. This product is designed to work well in all-weather seasons, rather than needing to be changed when spring, summer or winter seasons arrive. The blade is made to be durable, and it is expected to last 40% longer than other premium blades too. 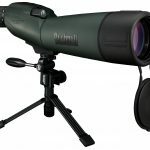 The product comes in a standard 2-pack and is available in sizes ranging from 13-inches to 28-inches. The wide size range ensures that there will be a Bosch Icon blade to fit your vehicle. A wind spoiler is built into the design to ensure the blade sticks to the windshield like glue even when high oncoming gusts are encountered. Better wiping is realized by a combination of arcing tension springs integrated into the design of each Icon blade and the simpler bracketless design. The rubber compound used with Bosch ICON Wiper Blades aims to resist ozone depletion and avoid the mid-day sun damaging the material. An adapter is provided to help replace existing traditional wiper blades with a standard fitting of Icon beam ones. The Rain-X Weatherbeater Wiper Blade (Pack of 1) is our overall winner in the Best Windshield Wipers for the money category. The Weatherbeater wiper is a more traditional design than the Icon one minimally reviewed above. It uses an extended steel frame arm which helps to support the rubber parts that touch the windshield, while providing enough overall rigidity in varied weather conditions. 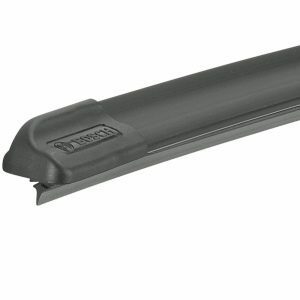 The squeegee rubber has been created with a mind to avoid it tearing, cracking or splitting when used in either hot or cold weather conditions. Wiper fluid to clean the windshield doesn’t damage the rubber compound either, and salt isn’t detrimental to it. The design of the rubber on each wiper, when attached to the steel arm, creates multiple points of pressure, while reducing inherent friction, for a smooth, streak-free windshield wiping experience. These wipers come in single blade packs. They’re available in 12-inches right up to 28 inches’ sizes for flexible fitting to vehicles with very different windshield sizes and configurations. The steel frame arm itself is superior to the metal used with the blades that often come as standard on many new vehicles. Durability is excellent, with each blade expected to last at least a season or two, while occasionally this product survives a busy 12 months of driving. To adapt to fitting many different makes and models of vehicle there is a quick-lock multi-adapter included which lets each Rain-X Weatherbeater Wiper Blade attach to a J-hook. Every model includes a side pin and bayonet wiper arms attached to the rubber blade. The Valeo 60011 Series Wiper Blade (Pack of 1) is our overall winner in the Best Windshield Wipers on a budget category. 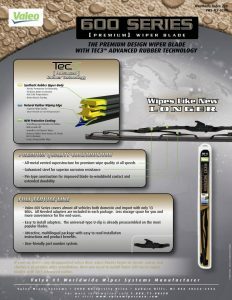 A popular consumer magazine took a serious liking to this product when they voted it their perfect winter blade. The product has some exciting features which are surprising considering it is the most affordable blade in our reviewed collection. The 600 Series uses traditional wiper frame arms formed using galvanized steel for protection against corrosion caused by the elements and to provide greater endurance. The strength of the wiper blade arms helps with providing enough frictional force to keep the blades near the windshield and the natural rubber touching the windshield to be more efficiently able to clean it. Better visibility leads to fewer accidents on the road and Valeo clearly understand the commitment to quality in that regard. This single pack blade comes in 11-inch to 28-inch sizes to fit many types of makes and model of vehicle. A Tec3 rubber is used on all blades to avoid any noisy chatter during use, or streaking or smearing across the windshield during use. The upper-body of the rubber blade uses a synthetic compound to prevent it becoming rigid while still retaining its strength to slide across the windshield without buckling as it does so. Combine this with a natural rubber on the underside that makes contact with the glass, including a protective coating to let the rubber glide effortlessly across, leads to a better performance from each blade in any weather conditions. The fitting of the Valeo 60011 Series Wiper Blade uses a U-clip that’s preassembled and fits universally when replacing an existing OEM blade with the 60011 Series. This economy blade is durable enough to be used in spring, summer, autumn or winter months, but shouldn’t be expected to last through all four seasons when driving daily in your vehicle. Windshield wiper blades aren’t something vehicle owners necessarily think that much about. Let’s face it; there are more important life decisions to make. However, getting safely from point A to point B to meet the family, attend a meeting with a business prospect or be the designated driver to transport the kids to Little League practice isn’t something to be taken lightly. Ensuring excellent visibility on the roads is a crucial first step to protecting the driver and all passengers from the ever present dangers on the road. After all, if you cannot see the threat to safety, you cannot slow down and swerve to avoid it either. The OEM wiper blades fitted to many new vehicles are pretty sub-standard. Furthermore, anyone who has owned their car for a few years or bought it previously owned likely will be unimpressed by the cleanliness of their windshield. It never seems ever to be entirely clean. A smear here, a streak there. Bugs splatter on the windshield and don’t disappear completely after the wiper blades have run over the spot a few times. It is time for something better and the good news is that there are alternative blades that will deliver a performance improvement. The durability of a blade is important. For the standard blades that use a frame arm, is the arm made of galvanized steel to protect it from the elements and give it the strength to last through months or years of use? Typically, a budget wiper brand may only have usable rubber blades for six months, and the rubber blade isn’t replaceable either. Premium quality blades don’t cost much more and keep going for a year or more. Make sure that the correct size of the blade is purchased too. Quite often the driver’s side has different measurements than the passenger’s side of the vehicle, so the wiper blades won’t often match dimensions. The manufacturer’s website or the owner’s manual will confirm the appropriate sizes to know what blade size to order correctly. The best windshield wipers are not necessarily the ones that are the cheapest or made by the largest company in the market. Wipers fall into two broad categories: Original standard and beam. The standard ones typically use steel frame arms that position the rubber blade on the windshield. The beam blades are designed differently, without the steel frame and use a lighter, innovative approach which aims to deliver superior performance. It is down to personal preference as to which style of the wiper is best. Some car models won’t fit the newer beam wiper, but most will do by using a fitting adapter supplied with these types of wiper. Some drivers will prefer to stick with the “tried and true” wiper arm product type, and that’s fine also. Getting the size right is of primary importance before placing an order. The length of each blade has to be correct for it to fit on the vehicle properly and to be usable. In many cases, the size needed is different on the driver’s side to the passenger’s side. Do not guess. Verify this information correctly first for a successful purchase. Wipers fit into A and B classifications. 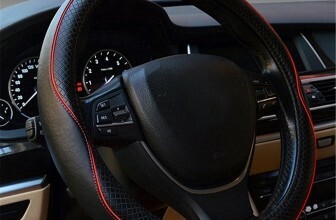 The A classification is for both driver and passenger side fitting, whereas the B refers only to the passenger side. The combinations are either A/A or A/B. With windshields that have more of a curve to them on the passenger side, the B classification will have more of a bend in the blade design. 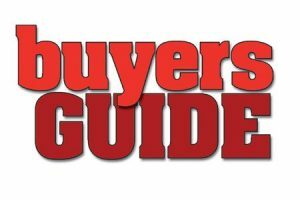 The owner’s manual or manufacturer’s website are the best sources of information to confirm what size and type of blades will fit your vehicle. Bosch is a leading provider of wiper blades in the USA. Their product range is extensive. They also invest heavily in research and development to continuously improve their blade technologies. Both the design and rubber compounds used ensures that their products deliver 40% more durability than most competitors. Rain-X is not new to making wiper blades having been involved in car care for over four decades already. They have some wiper products that perform well in different environments and all-weather models usable in any season. 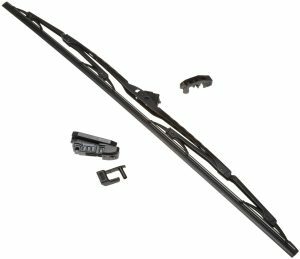 Valeo focuses mainly on the budget and mid-range with their wiper products. They have vocal fans who prefer their design and quality at a fair price point over other more expensive options. The standard 2-pack is available in a wide range of sizes from 13-inches up to 28-inches. Because of this, it is pretty likely that there will be a size of blade to fit your vehicle. The Icon wiper blade system uses a patented beam blade design that is completely different to traditionally designed and installed wiper blades. 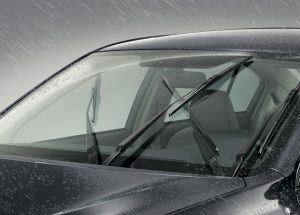 The move away from standard wiper blades offers many opportunities for Bosch to apply innovative techniques, new ideas, and interesting rubber compounds to deliver a best-in-class wiper product for automobile owners. The beam design adopted here does away with brackets and hinges entirely, for a far more streamlined appearance. The Icon product has won awards for its design that clearly steps away from traditional appearances without apology. An asymmetric spoiler is used to put downward pressure on the blade to ensure that it hugs the windshield. The spoiler acts against the wind to prevent the wipers flying up when big gusts of wind buffer the vehicle when driving on a highway. The windshield wiping performance benefits from the arcing tension springs within the blade structured implementation despite the bracketless design. The lack of metal frame doesn’t prevent this product from gripping the windshield tightly so it can successfully clean it. Some US states experience an eclectic weather system throughout the year with snow covering the ground in winter, below zero weather conditions early in the year, and heatwaves up to 100-degrees F in the summertime. These blades are intended to be all-weather ones that handle these types of varied conditions without difficulty or suffering a reduction in their overall performance either. Most blades typically last half a year finding either the summer or winter weather brutal in different ways. Icon blades usually manage to get through all four seasons and last up to 40% longer than other premium blade options on the market. The rubber compound with these blades resists the hot sun and doesn’t break down in extreme weather conditions. Fitting the Icon blades is easy because each 2-pack comes with adapters to help install these beam models where traditional windshield wipers used to be installed. Changing the blades doesn’t take very long either. It should be noted that Bosch quietly makes premium quality wiper blades for manufacturers like BMW who fit them to their SUVs. Knowing this provides some comfort because it is unlikely that manufacturers producing new vehicles under a comprehensive warranty want their customers to have issues with their wiper blades only a few months after the car was bought from the main dealer. The price of these blades is higher than other lesser brands, but for that cost you get a wiper product that lasts considerably longer. Therefore, the cost of ownership is very reasonable, and it avoids the hassle of needing to purchase and replace your vehicle’s wiper blades more frequently too. For vehicle owners who like to stick with traditional looking wiper blades, the Weatherbeater has a classic appearance and reliable performance that delivers on many levels. The steel frame arm is the lynchpin in this wiper’s design. It provides strength and rigidity where it’s needed while letting the squeegee rubber provide the flexibility to clean the windshield effectively. The rubber compound used avoids splitting during use, cracking due to the cold, or tearing simply through poor consistency. Neither extremes of temperature at the top of the heat range or nights below freezing will have much effect on how this Weatherbeater performs, so it clearly lives up to its name. Both the wiper and the rubber blade are protected not only from the varied elements but also salt in the air, so anyone living in coastal regions should not need to worry with these blades. Multiple pressure points are the key to the successful windshield wiping when using the Rain-X Weatherbeater Wiper Blade. Friction-less wiping avoids squeaking sounds while the wipers are running creating streak-free, glass cleaning results; exactly what every driver wants when maintaining their focus on the road. These windshield wipers are sold in single blade packs. 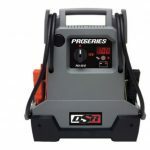 Designed to fit many make and model, it is possible to order this car product in different sizes, from 12-inches up to 28-inches. No shortcuts were taken with the steel used in the blade frame. The quality exceeds that of steel used in OEM blades on standard car lines. A good season or two, either summer or winter, is likely to result before the rubber gives out; it is unlikely that the steel will buckle before that time. The quick-lock multi-adapter makes it easy to fit the Rain-X Weatherbeater Wiper Blade by just attaching it to the J-hook or posts on either side. On the back of the package there is a little diagram depicting how to correctly install this type of wiper. There is no option to replace the rubber in the blade with refills. When the rubber has been worn out, the whole product will need to be replaced for a new one. These Rain-X wipers perform well when given a little bit of tender loving care. Should smearing across the screen occur, wipe down the edge of the rubber than cleans the windshield using a paper towel. Bugs can occasionally get stuck to a rubber blade, so manually cleaning the rubber is helpful when experiencing sub-par performance. Rain-X has been making windshield wipers since 1972. They now have a broad range of car care products on the market. 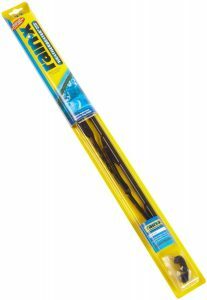 This wiper blade is an award-winning one for its winter durability in freezing temperatures despite its lower priced origins. Any buyers looking for a quality wiper blade at a lower price should take note of this, especially those people who live in parts of the country that experience low or freezing temperatures on an annual basis. Galvanized steel is the primary material used in the construction of these traditional wiper blade arms. The steel and its strengthening process ensure weather resistance in varied temperatures and road conditions over months of continued use. The strength that comes from this type of material proves key to delivering frictional force sufficient to keep the rubber blades on the windshield rather than ineffectively floating just a few millimeters away from it. The synthetic rubber used in the blades stays close enough to the windshield to clean it effectively which helps to maintain driver vision even when torrential rains and hailstones just won’t abate. The Valeo 60011 Series comes in a single blade pack in sizes from 11-inches to 28-inches. The size range helps to ensure that this wiper will fit many types of vehicle from sedan to SUV. The specially made Tec3 rubber compound used in the blade is designed to prevent visible smearing, streaking, splitting or sticking during use. The blade arm chatter is also reduced either to not being noticeable or not existing at all. The rubber itself uses an upper-body synthetic compound which avoids the top part of the rubber becoming stiff but still maintains its strength at the same time. The underside of the blade, which touches the windshield, is made of natural rubber which enjoys a protective coating aiding the smooth sliding movement inherent in wiper blade operations. Come rain or shine, the Tec3 and natural rubber deliver on several levels. For the fitting, the Valeo 60011 Series Wiper Blade provided both the U-clip adapter and the T2 adapters as preassembled items. The company provides instructions in the box to illustrate how to fit their wiper successfully to different vehicles. Their corporate website also has further fitting information if the instructions are subsequently lost somehow. Being an economy blade, ones has to temper the expectation with regards to durability. The Valeo 60011 product won’t likely get through a full year’s use, but it will certainly make it through the winter or summer months. One could get lucky and it’ll last the full year, but don’t bank on it. External factors like what weather is regularly experienced when driving and how extreme it is, and where the vehicle gets stored when it is not in use will likely have a significant impact on the longevity of these blades. When considering a more standard blade arm and rubber design versus a patented beam design, there will be vehicle owners who have their preferences. Some people will always go with the standard design out of fear that deviating from that ideal risks a buying failure, loss of money, and needing to buy a replacement. An all-weather product is useful for a wiper blade that is expected to still be usable after a year. With that said, it is convenient to have a set of wiper blades fitted that can be used either during summer or winter, even if they won’t last all year because one doesn’t have to be concerned about which season they will perform best. A beam design is likely to emit lower decibels during use when the rubber performs as expected and doesn’t cause chatter on the windshield. As a reminder, one needs to look at the vehicle manual to check whether the car uses an A classification for left wipers and a B classification for right wipers. Making sure to choose the correct wiper blades for the vehicle is critical. For anyone who is happy to accept the different beam technology used in the Bosch ICON blades, these are the clear winner here. The brand is a reliable, well-known one that supports their products and is respected as a quality provider of goods within the automotive industry. Either the Valeo 60011 Series or the Rain-X Weatherbeater Wiper Blades are good alternatives for a lower initial price. One should be reminded though that both of these more traditional blades aren’t expected to last a full 12 months under most driving situations. When a vehicle is kept in a garage overnight, not out in the driveway with the rain thrashing down all night, then perhaps they’ll last a complete year. Otherwise, plan to replace these brands up to twice a year. When calculating the true cost of ownership, the value of the Bosch product comes through on a cost per month basis. However, none of the three brands make a bad wiper blade, so deciding which one to go for is a relatively easy decision.